How to Prepare for Verbal ability and Reading Comprehension for the CAT. 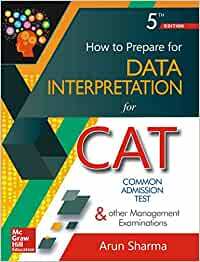 Start reading How to Prepare for Data Interpretation for the CAT on your Kindle in under a minute. 5.0 out of 5 starsBOOK IS GREAT FOR HIGHER LEVEL BANKING PREPARATION. AMAZON IS AMAZING. 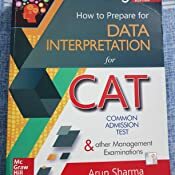 This book is very helpful for those preparing for bank exams also. The level of questions that are asked in banking exams these days are going high. So I would strongly recommend to people (specially those who are willing to give that extra short and crack the exams really soon) giving bank exams. 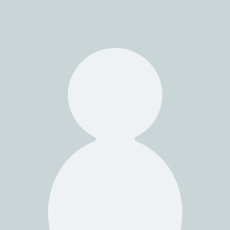 Along with this people can buy the Quantitative Aptitude by the same author. I bought both. And about Amazon - I have preferred Amazon always because of the price , quality of product while delivery and time taken for delivery. AMAZON IS AMAZING. 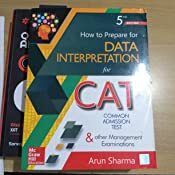 📌This book is all what you need for improving your data interpretation skills. 📌The book is divided into various parts and each part covers some important topics. 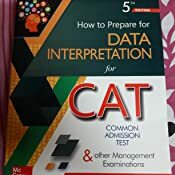 📌 You can also practice questions from previous years exams like CAT, XAT, IIFT and SNAP. Q) So should you spend around 400 bucks for this book? I would recommend to buy it online as the its way cheaper than retail. 5.0 out of 5 starsMust have. This is highly recommended by the toppers so i bought it. This is the best book for DI. There are too many questions for practice. I got latest addition. 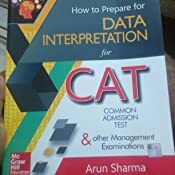 Every student who is preparing for banking or CAT exam, should go for this book. I bought all four. I would suggest to begin with this and then do another book full of mock exams only. 5.0 out of 5 starsGood Condition, Helpful. Good conditions. Very helpful book. Brother was prescribed this for MBA prep and he likes it! Got it delivered in about 3 days ..The book was exactly the same as shown on the website had the same contents, so nothing wrong with the service or the book. I am satisfied. happy with the service and the product.